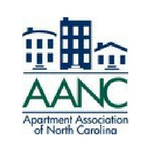 The Triangle Government Alliance (TGA) is a nonprofit advocacy organization that focuses on issues important to the rental housing community. TGA works on behalf of Triangle rental housing providers to raise awareness of issues that may potentially harm and adversely impact property owners. Corporate and personal contributions are welcomed. Help us continue to advocate for YOUR industry by contributing today! TGA plays an active education role by staying at the forefront of issues important to the rental housing industry. As the Triangle’s demand for more housing and higher density continues to rise, we must maintain a strong, unified voice. Corporations and individuals may contribute to this fund. For more information or to request an invoice, contact us. Disclaimer: Contributions to TGA are not tax deductible for federal income tax purposes. Contributions to TGA are for political purposes. All contributions to TGA are voluntary. You may refuse to contribute without reprisal. The proposed contribution amounts are merely suggestions; you may choose to contribute more or less or not at all. TAA will not favor or disadvantage anyone by reason of the amount contributed or the decision whether to contribute. North Carolina State Law requires political committees to report the name, address, occupation, and name of employer for each individual whose contributions aggregate in excess of $50.00 in a calendar year.